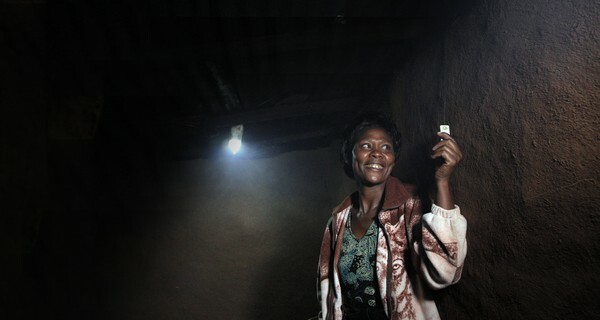 M-KOPA focuses on delivering pay-as-you-go energy for off-grid homes in especially Kenya, Tanzania and Uganda. The Nairobi-based company sells an initial installation of solar panels, lighting and a mobile phone charger for only $30 (under £20), with the balance paid off depending on how much energy is used. Founders Nick Hughes and Jesse Moore have vast experience in emerging technologies, payment solutions and international development. They decided to solve the problem of payment in rural Africa by innovating on present and growing mobile phone use. M-KOPA offers customers a proprietary mobile payment platform M-PESA to pay for energy for about 40 cts (26p) per day. M-KOPA’s success is not only good for rural consumers, but also the environment. Tackling climate change is a key goal of the company, and by using solar panels instead of burning kerosene off-grid customers benefit from cleaner air while paying even less for their energy. Based on scale, the project should save 260,000 tonnes of CO2 emissions in the next four years, while creating over 1,600 jobs in East Africa. Around 77% of the Kenyan population has no access to grid electricity. M-KOPA has risen to this clear social challenge and has been rewarded with the leading sustainability Zayed Future Energy Prize (2015), named one of Fortune Magazine’s Top 50 Companies Changing the World, and won praise for the system by Presidents Kenyatta and Obama.